Epsitec SA, one of the two companies who is making the development of Creative Docs .NET possible, will be celebrating its 30 years in a few days. 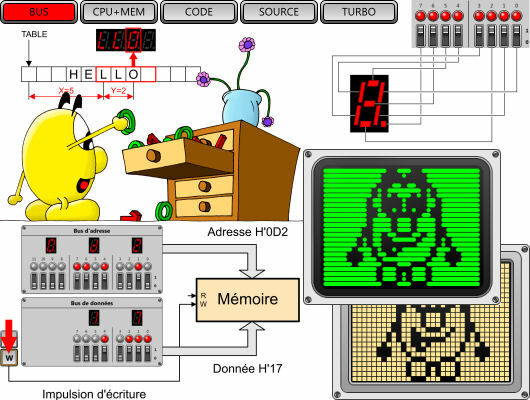 In order to commemorate the heroic days, Daniel Roux, co-author of Creative Docs .NET, wrote a free software simulator of a tiny computer, the Dauphin, developed and distributed by Epsitec SA in 1978. The pages are in French or German, but those tempted to play with a primitive microprocessor might attempt to program the simulated Dauphin without reading the accompanying user's manual. An assembly language programming contest is open until end of April 2008. The 5 best submissions will be awarded prices kindly offered by Logitech Switzerland. Good luck!